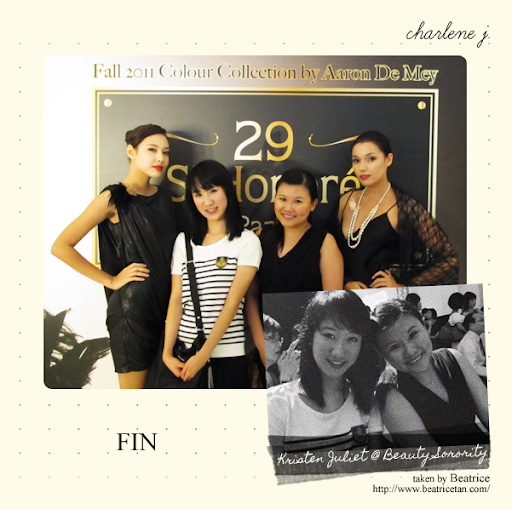 Last Friday, I was Kristen Juliet's plus one for the Lancôme's Visionnaire Launch (Thanks Juliet! 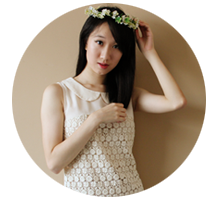 :D And I know I have already thanked you many times but I need to thank you on my blog. NEED to! Heh.). It was held at Tanjong Pagar Distripark (Think: Cargo. And more cargo!) to give the whole event an underground and exclusive feel. It was really quite cool! And I met Beatrice too. She was waiting for Velda whilst I was waiting for Juliet. We started chatting away and covered quite a number of topics, from school/ work to blogging to makeup! 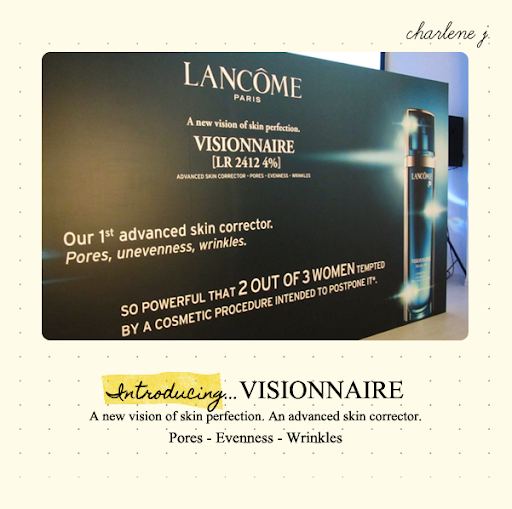 Lancôme will be launching Visionnaire on August 19th exclusively at Tangs and then, on September 1st islandwide. Visionnaire is touted as an all-in-one product! It's going to reduce your wrinkles, minimize the appearance of your pores and make unevenness a thing of the past! 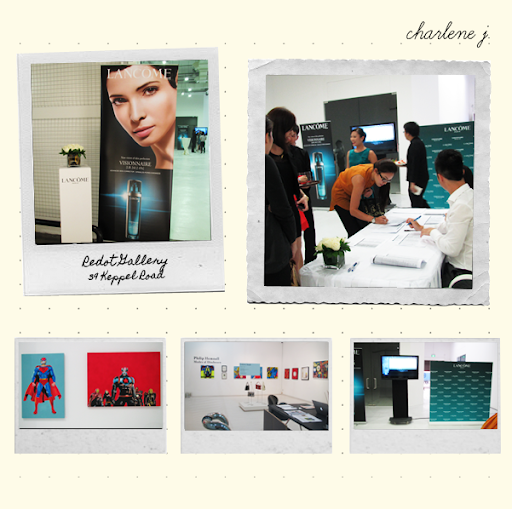 Youcef Nabi, President of Lancôme International, remarked that "This is the future of beauty." (Article from here.). As women become more aware and knowledgeable about beauty, we realize that we are piling sky-high layers of products on our faces and our skincare regime seems to be taking an increasingly longer time. Isn't there just one potion that will magick away all problems? Well, Lancôme understands this perfectly and this potion is found in their Visionnaire! Women, like you and me, view beauty based on what we see and feel. Scientists, on the other hand, are concerned with the biological and physiological aspects of the skin and the balance between the skin's layers. 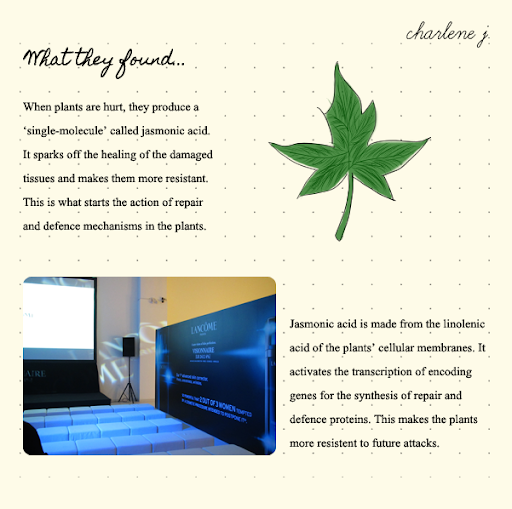 Being well-versed in the world of genes and proteins, the scientists observed how nature grows and repairs itself. 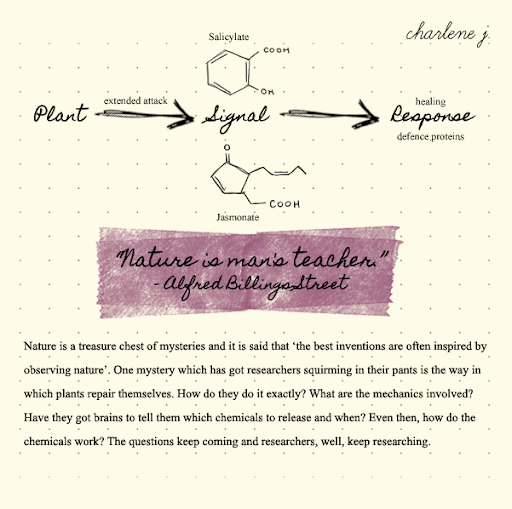 Nature forms a huge part in our lives and is a teacher to us in more ways than one. It is only natural (No pun intended!) for us to turn to it when it comes to skincare. 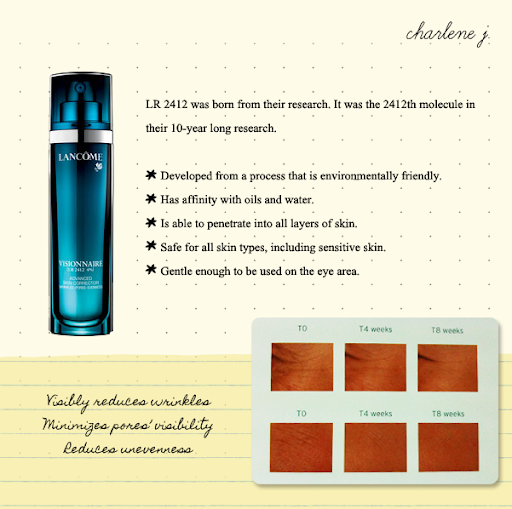 After 10 long years of research, Visionnaire, the first skincare with LR 2412, was born. 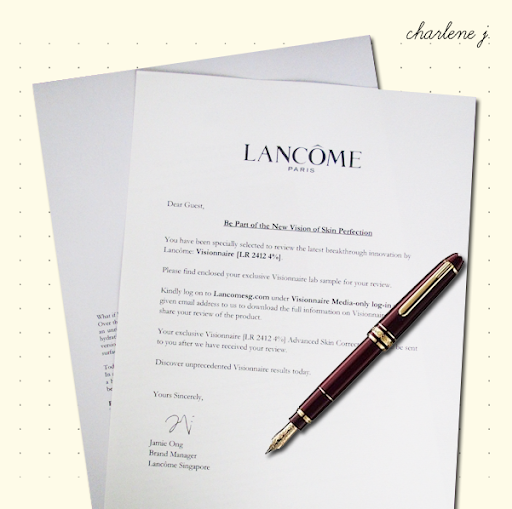 In a study conducted by Lancôme, all it took was 4 weeks for wrinkles, pores and unevenness to be visibly corrected! Also, a test was done on a group of women whereby the uppermost layer of their epidermis was removed. They were then further split into two groups; one applying Visionnaire and the other doing absolutely nothing. It was found that cell regeneration took place on the 7th day for the former, and the latter, only on the 8th. I was given a sample of Visionnaire and started using it last night. Light, with a fresh and clean scent, it is absorbed into my skin easily! I can't wait for the results to show! At the party, we were also treated to a sneak preview of Lancôme's fall collection! Aaron De Mey, who's New Lancôme Make-up Artistic Director, 'pays hommage to the most sophisticated femininity; the Parisian woman' for this season. Maison Lancôme (Blusher, $70. The gold dusting is an overlay. ), Les Eillades (Eyeshadow palette, $84.) and Le French Touch (Lipstick, $65.) will be available at Lancôme's beauty counters in September. P.P.S. : My outfit for the day! The top's from F21 ($31) and the skirt's from Cotton On. Please excuse the messy room.